Rio Grande City residents are being asked to give their input on how the city should move forward. 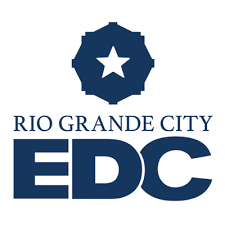 The Rio Grande City Economic Development Corporation, together with the National Association for Latino Community Asset Builders, Rural Empowerment Advancement Program and BBVA Compass will hold a public summit Saturday to develop a strategic plan for the city. “It’s a guide for them to follow as far as where the city wants to go,” Celeste Cavazos, a consultant for REAP, said of the purpose of formulating such a plan. Almost two decades have passed since the EDC developed the first strategic plan in 1999, dubbed the Rio 2020 Strategic Plan, so now the groups are revisiting it and hoping to develop a high-level plan that will focus on transportation and economic development, according to Cavazos. The new plan, called “Connected and Growing — Rio Grande City Strategic Plan” will focus on transportation, economic development, civic affairs and water and utilities. Ruben Ramos, community relations representative for BBVA, said the bank wants to strengthen communities through financial education workshops and by sponsoring organizations like NALCAB and REAP to spread knowledge, skills and resources in rural communities. The summit will be at city hall, located on 5332 E. U.S. Highway 83 in Rio Grande City, from 9 a.m. to 3 p.m. Saturday, April 21. It will consist of two workshops with speakers from Workforce Solutions, the Texas Department of Transportation, the Starr-Camargo Bridge Company and Valley Metro. At the forefront, Ramos said, are examples of things that have been done in other markets and, in some cases, models in similar size communities. “It somewhat dawns on some of these public sector agencies and leaders that they can become economically sustainable and have much more livable environments if they can bring some of these resources and programs to bear in their communities,” he said. The public will be asked to participate in a survey which they can fill out online during the summit Saturday.